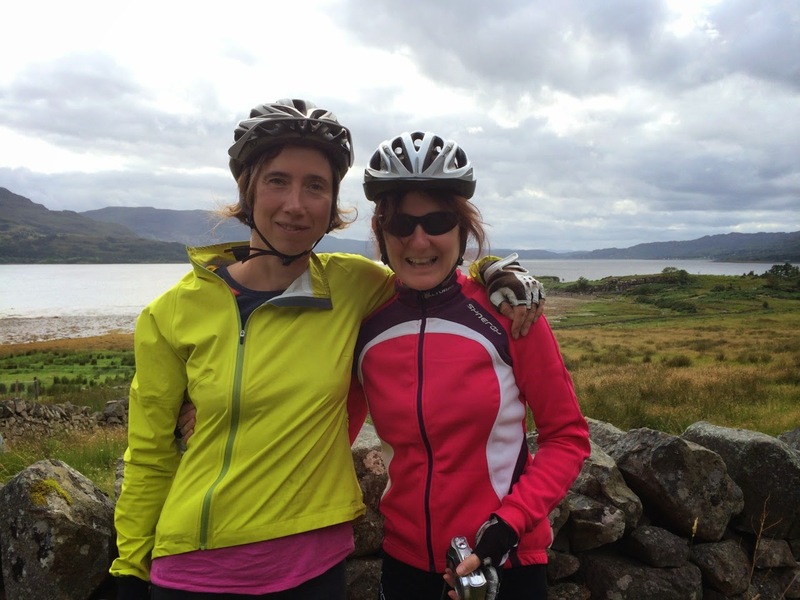 I recently had the opportunity to meet up with my friend Teresa from Ireland and her friend Hannah from England, who were both on a cycling tour of the Highlands of Scotland. Having looked at the itinerary for their trip I had decided on a good rendezvous point along the way and set out for Torridon, just south of Kinlochewe. The drive there is a beautiful one, and I was imagining the route the girls were on that day from Strathpeffer to Torridon, taking in some of the most stunning scenery in the area. 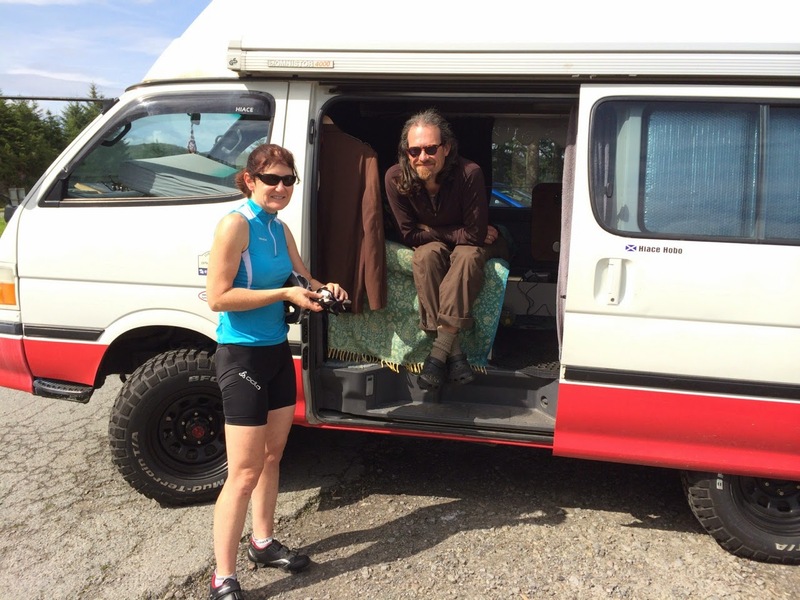 I have my own bike on the back of the van which I use for exploring an area and seeking out new places to camp, but these two were on a long distance tour, covering around sixty miles per day - another proposition entirely. I've always admired the people I meet touring the area in this way, as it takes a great degree of dedication and fitness, as well as the endurance to withstand the extremes of the unpredictable Scottish weather. 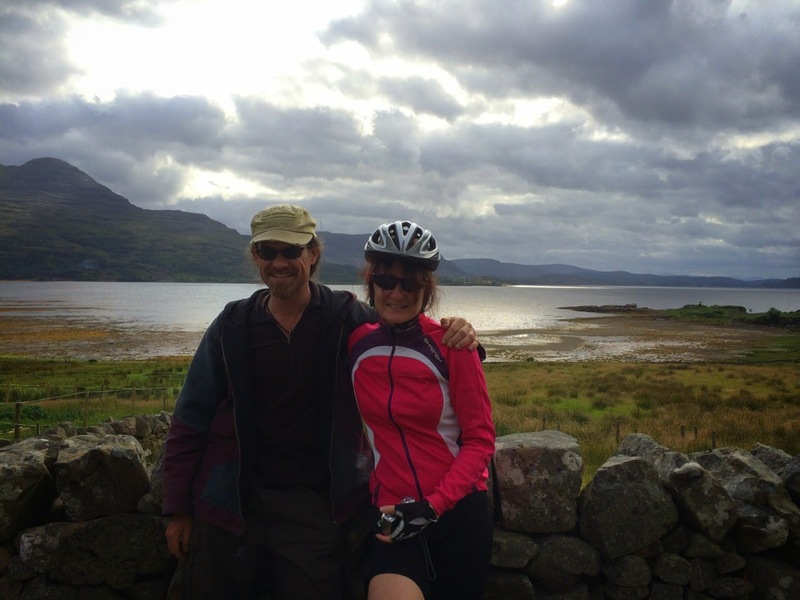 In the afternoon I parked my van nearby and cycled he remaining mile or so to Torridon, where I met up with the girls and had tea overlooking the loch, mountains looming all around us. Then we cycled together to the local Youth Hostel and prepared our evening meal. We chatted and I caught up on stories of friends from Ireland, and of course on their trip so far. I decided to drive on that evening for an hour or so, the plan being that I would pick a location they would reach for lunchtime the next day. 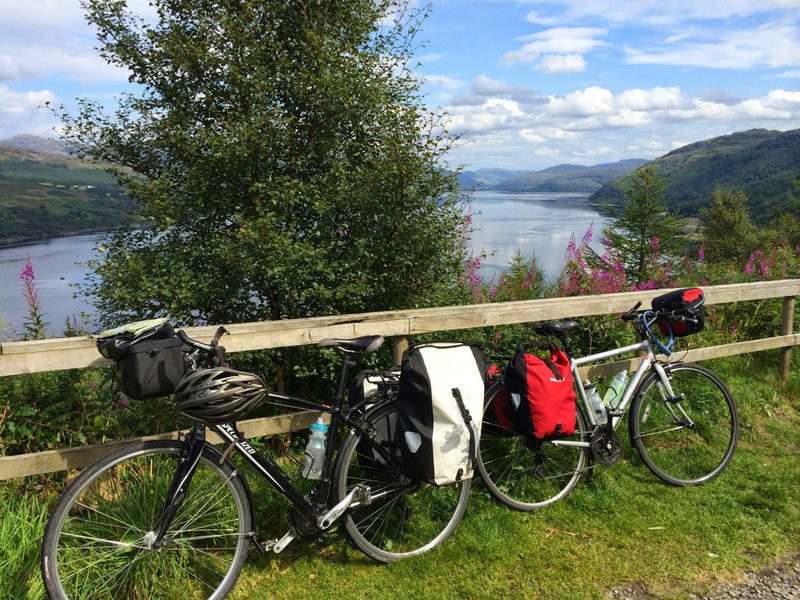 It was quite an up and down route, and took me the hour to cover the 35 miles approx to the viewpoint overlooking loch Carron - I knew it would be a challenging day ahead for Teresa and Hannah. So while I slept, they were setting off from Torridon early to enjoy the route in the morning sunshine. Just around 12:30pm they arrived, exhilarated from the cycle and ready for lunch on a picnic table right outside my van - today acting as support truck and mobile catering unit. The kettle was on! Thanks girls for your company and enthusiasm - I'm tempted to cover a bit more ground by bike in the future!